Al-Nasr and Al-Ahli reached the Finals as they posted another wins in the second games. 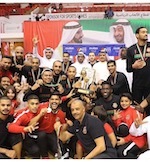 Al-Ahli overcame Al Sharja 81-65 and won the series with two wins. Al-Nasr posted a 64-63 win over Banni Yas and alo reached the second victory. 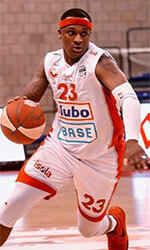 In the first game Al-Ahli overcame Al Sharja 84-82 in a real thriller. Al-Nasr meanwhile edged Banni Yas 84-72.